As you may have noticed, right hand sidebar ads have disappeared from Google. Instead, there are now up to four PPC (paid) ads at the top of the search results, where there used to be only two. This means fewer organic (nonpaid) results visible above the fold … and a new dominance for Google SEM ads. It also means that updating both SEM and SEO strategy is essential. Here’s what our internet marketing experts are thinking. SEO must aim for top 3, not page 1. Once upon a time, if your website appeared in the first page of search results, you received the best click-through rates and your SEO efforts were deemed a success. Not anymore. 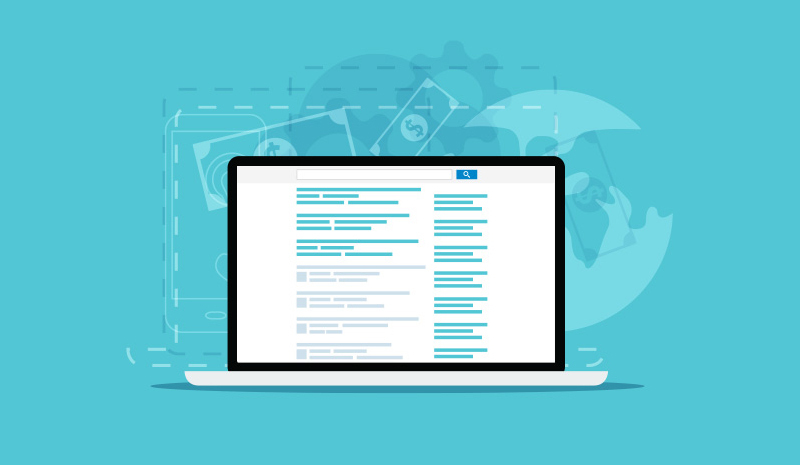 Now the competition will be to appear above the fold, and the space available there for organic results has been reduced by the doubled quantity of paid ads. Plus, the paid ads at the bottom are still there. So it’s harder than ever to even make page 1. ROI of top position ads must be evaluated. The new top positions are reserved for premium search terms, which cost more per click, so you need to be sure that the ad is worth the expense. To add value, Google has allowed more features in these ads that make them look like organic results, which are more trusted — and clicked — by users. Another thing to consider: if your website receives top 3 placement in organic search results, there’s nothing to be gained by having a paid ad right above it. The change must be kept in perspective. Before the change, top PPC ads already received 85% of clicks. So the loss of sidebar ads won’t make a major difference in Google SEM returns. Since the change, 78% of Google search results had less than the max of four top ads. So it’s far from inevitable that organic results will entirely disappear from above the fold. This change only affects desktop views, and less than half of all searches are performed on desktop computers. While it’s clear that SEO is now taking a back seat to SEM on Google, we believe that profiting from the new order is more a matter of fine tuning than a complete overhaul. If you’d like to discuss this further with one of our experts, please don’t hesitate to give us a call. Above the fold: The portion of a website page that you can see on your screen without having to scroll down. Organic results: Nonpaid search engine results, usually the result of good SEO in a website. PPC: Pay per Click. Online advertising format offered by Google Adwords and other search engines. SEM: Search Engine Marketing. Paid ads on search engines like Google. SEO: Search Engine Optimization. Building searchable features into your website in order to get high placement in search engine results pages.